I have loved it for years. I'm a sucker for a bargain, and when I was in my early twenties, Black Friday deals made it possible for me to get something for everyone. We could go into a whole philosophical discussion about the true meaning of Christmas and whether or not stores being open on Thanksgiving ruins the holiday. But instead I would like to tell you about the tradition my sister-in-law and I share; we go shopping together on Black Friday. We wake up early—too early, really—and groggily get dressed. She makes us coffee and we hold it in our hands to keep them warm as we wait inside the car for stores to open. It’s a tradition I brought to the family and an event that now belongs to just her and me. If I think about it, I guess we could buy it all online, but where would be the memory-making in that? And actually going to the stores gives you some great warm and fuzzies! Always on Black Friday, you will encounter a mother beaming because she was able to get (and afford!) 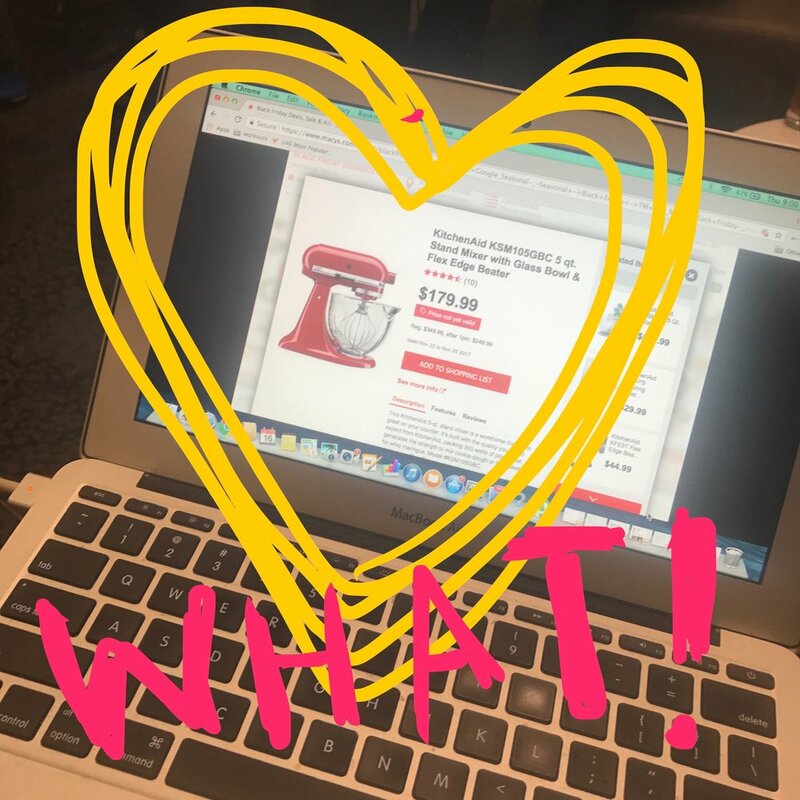 the must-have presents from her children's Christmas lists, or you'll see a proud husband who can finally buy the Kitchen Aid of his wife's dreams. Those brief moments aren’t about the presents, I don't think, but more about love and a desire to share and show love. Every year I focus my sale hunting on TOYS! I “adopt” kids off of the Salvation Army's Angel Tree and buy all the gifts from the kids' Christmas lists. This is sometimes very pricey, but I always know that the more I stretch my budget, the more kids I can buy for. So I will ALWAYS check out Black Friday sales because that’s when I can really rack up the gifts! Here are my favorite sales from four leading stores! Kohl's usually has great deals on homewears and jewelry! Ummm, $20 for diamond earrings?! Now they are tiny chips of diamonds, but they will still sparkle! Kohl's also has great deals on ladies' boots and sheet sets! Walmart is by far the best place to get toys. They have incredible deals on the toys that are most commonly found on kids' lists. Disney Dolls and Barbies for less than $5 each means I can get each little girl two or three! Walmart also has action figures, games, and karaoke microphones—all within budget and all super awesome! If you have a cook in you life to buy for, this is the place to go! Look at these kitchen deals for gifts that are equal parts useful and beautiful! And now for the find of the year! It's TOTALLY over $20, but I thought I would mention it since it's such an incredible deal! Kitchen Aid Mixers for under $200.00! I know that's not cheap, generally speaking, but it is the cheapest you will find for a brand new one of these babies! Happy Thanksgiving, Happy Black Friday, and HAPPY SHOPPING!